No kid wants to forego sleeping in late all summer for the back to school early wake up call. However, for children with autism spectrum disorder (ASD), the transition period can be even more jarring, leading to intense behaviors. The end of summer has a habit of sneaking up on parents, but for those who are preparing for back to school with autism, the preparation starts early on. About a month out from school, you can start easing your child into early morning routines. Do it slowly and reward positive behaviors. Autism author Paula Kluth, Ph.D. suggests early visits to the school during this transition time. Familiarize your child with not only the physical location of the school, but also with its personnel. If you don’t already know the staff, get to know them, especially those who might be part of your child’s educational team: teacher, school nurse, school psychologist or counselor, special education teacher, etc. What do you need to make you comfortable in class? What is your favorite and least favorite part of the day? Some children who have trouble verbally expressing themselves may want to put together a visual portfolio that “introduces” them to new people. This can include photos of the child, clips of favorite items, previous school work, and more. Children who might have difficulties expressing themselves should also wear a medical ID bracelet while at school. These custom-engraved personalized bracelets can provide school caretakers with valuable information during emergencies or at other critical times. 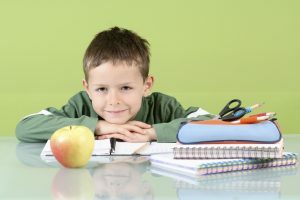 School psychologist Peter Faustino, Ph.D. also suggests parents consider learning what common interests might bridge the gap between their child and the other kids in school. Are all the second graders interested in Pokémon? Maybe your son likes that as well and can use it to break the ice. Once school starts, routines will continue to be important for your child with ASD and your family. School can be overwhelming and distracting with the amount of other students, the noisy activities, and the chaos, but schedules help organize the chaos into smaller, manageable bits. Whatever grade your child is entering this year, make the most of his experience by committing to stay positive. It is often overwhelming to live with autism, especially during transitions into and out of the school year. But your child is sure to have a great year as long as he knows you’re there to support and care for him. back to school, kids medical alert bracelet, medical ID for kids, medical ID for teens. Bookmark.